Patriot's Day: Oklahoma city bombing anniversary, Waco, VA Tech, and the Boston Marathon explosions. 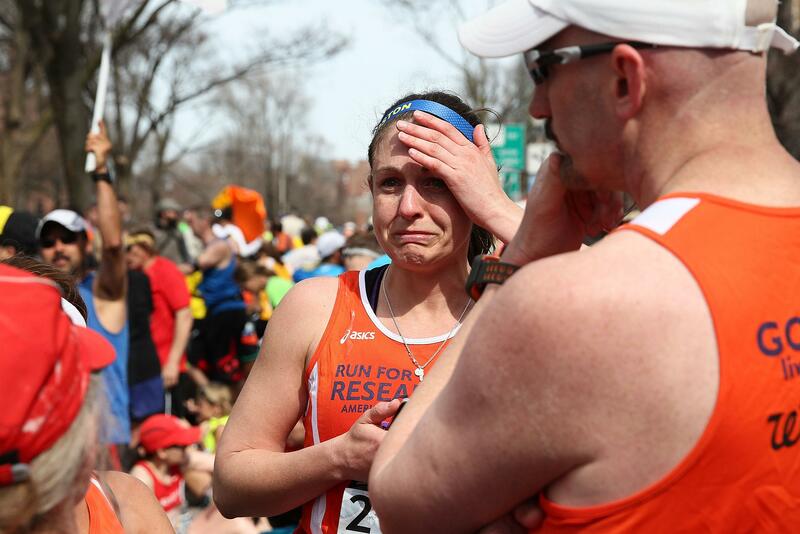 A runner reacts near Kenmore Square after two bombs exploded during the 117th Boston Marathon. The Waco tragedy, in particular, has inspired some anti-government activists to mark something of a shadow version of Patriot’s Day, on April 19. Patriot’s Day in Massachusetts used to be commemorated only on April 19, which is indeed the anniversary of the Oklahoma bombing and the Waco tragedy. But Massachusetts switched its timing from the 19th to the third Monday in April back in 1969, way before either tragedy occurred. In a way, there are actually two Patriot’s Days, both marking the same original historical event, but on different days, and with different meanings. This post has been updated with additional information from President Obama’s evening press conference, and for clarity.